May we suggest some of our favorite SWFL restaurants. The Naples Marco Island area is known for sensation local restaurants with makes Marco Island is a fabulous dining destination. Paradise Coast Florida is home to some of the best restaurants, and chefs in the world. With Florida fresh produce, ocean-fresh seafood, and superb chefs, how can you miss? Marco Island – Naples FL dining options vary from fast food take-out to fine dining restaurants that will make your visit here memorable. We encourage you to sample the local cuisine and island favorites. The Florida Grouper, Stone Crabs, Pompano, Snapper, Pink Gulf Shrimp and other delicacies. 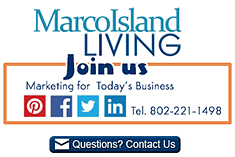 Ask us about Marco Island restaurants or share your FL restaurant reviews. To feature your Naples – Marco FL restaurant, contact us. A heart-warming, family ambiance offers you the best authentic Italian Cuisine. Open for Lunch and Dinner. Private room for your special event. The only wood-burning pizza oven in Marco. Our local DJ plays great music every Friday and Saturday night. Nacho Mama's - a favorite place for a great meal and a fun time. Nacho Mama's is a family owned restaurant serving Tex-Mex and American fare. Nacho Mama's is a recipient of the prestigious Platinum Plate Award for best Mexican Cuisine. Specialities include- Sizzling Fajitas, Nachos Grande, Baja Fish tacos, fresh chicken sandwiches, fresh salads, and one of the best burgers on the island. Full liquor bar and ice cold Cerveza. 5 large screen TV's, Happy Hour Specials. The Sand Bar is open 365 days a year from 7am – 2am. Full breakfast menu from 7am-11am, from 11am on we feature appetizers, soups, salads, sandwiches, awesome entrees and seafood. We are famous for our Fingers and Toes (aka fish and chips) as well as our Wings. Celebrating over 30 years on Marco! More than 40 Big Screen TV's with all your favorite sports. Family owned and operated since 1997. Joey's offers quality Italian Cuisine and great service. All of our dishes, pizzas, and deserts are made from the finest and freshest ingredients and, best of all, homemade family recipes. Indoor / outdoor seating, full bar, on-island delivery, catering, open 7 days. We strive to provide the best possible breakfast experience. We only use Eggland’s Best Cage Free Brown Eggs, Sausage Patties are all-natural, no preservatives, our syrup is Pure Maple Vermont Syrup, Milk products are from a local farm in Myakka City, Florida, our Kana Coffee is from a local roaster in Miami, and our Orange Juice is made from Fresh Squeezed Florida Oranges. Open for breakfast, lunch and dinner, dine indoors or out with breathtaking waterfront views and unforgettable sunsets. Amazing views and signature dishes like steamed South Florida Clams, the Gulf Coast Snapper or Filet Mignon. Happy Hour specials at The Bar at 560.